When you manage or own a company, then you might have been looking for new ways on how to expand your business, how to increase your market share and get new customers. As a matter of fact, all of these goals are just things in which a company must engage in, continually, so they could remain competitive in a tough marketplace. Failure of doing so, can also cause failure of your business. How would you able to accomplish these goals? Well, the best answer would be company branding. As the manager, or owner of a business, we know that you already have enough on your plate, and you cannot afford to get another thing to be added in it, otherwise, you’ll get full, which may slow down your competency and you know what will happen next. So, in this regard, let Dubai Monsters take care of your corporate branding needs. What Can We Do For Your Corporate Identity? Branding in Dubai doesn’t really have to be hard. So, we are here to help you in terms of business card distribution. Even if it is just a small paper, when your brand names and logos are in it, it will surely work. So, what are we going to do with this? Dubai Monsters will create business cards that are functional, yet not overly creative. Simple is always beautiful and we always vow for that. Dubai Monsters, as one of the best branding companies in Dubai, we are well aware of what’s been happening in the global market. Your brand is always considered as the most valuable corporate asset as well as a marketing tool for success, so we are here to provide a careful consideration to various cultures in case you want to conquer the world through the use of the internet. As mentioned, simple is beautiful. So, we will create a simple company logo for you, which will be in the creative and distinctive category. Conservative signs will apply to a target matter of the same type. In case you provide the same signs to the hipsters and the cool kids, they will not appreciate it. So, with Dubai Monsters, we can provide you signs that anybody, regardless of age and gender can surely appreciate. Creative and energetic corporate branding is what Dubai Monsters is all about. The internet, as the most influential tool of marketing, it is always essential that your customers remember something distinctive about your business or company. With our corporate branding services, we can provide a clear picture of the message that you’ve been yearning to impart, so as the type of image you want to project to your customers. Well, we are here to provide you a strong graphic design that will take you to the top of the competition. 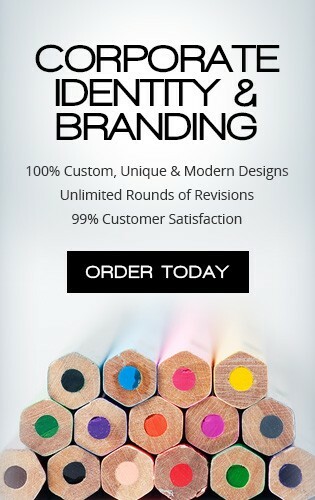 As one of the best branding agency in Dubai, we can help you in many ways. Let us do our job to help you with your corporate branding needs, and you’ll surely get the best results from it. A lasting brand image is what you need to develop a reputation. With great first impressions, We keep it simple yet beautiful – just what your business require. Dominate the world with the right branding in Dubai that is distinctive and energetic to grab the attention. "When it comes to creating websites, Dubai Monsters cannot be surpassed. Because of their design and development, our online business has increased dramatically. "